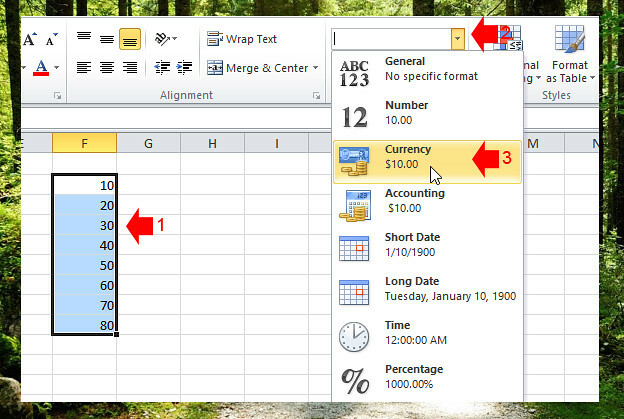 Formatting text and numbers in Excel makes it more presentable and readable to whoever use your worksheet, like on the currency, it’s way better to have a currency symbol before the number to determine the exact value not just a number. In this lesson you will learn how to add the currency symbol and decimal to any number and also change the font style of the text. To add the currency symbol in any number entered in a cell, select the cell/cells that you want to format, then on the Home tab, “Numbers” group, select “Currency” on the drop down. 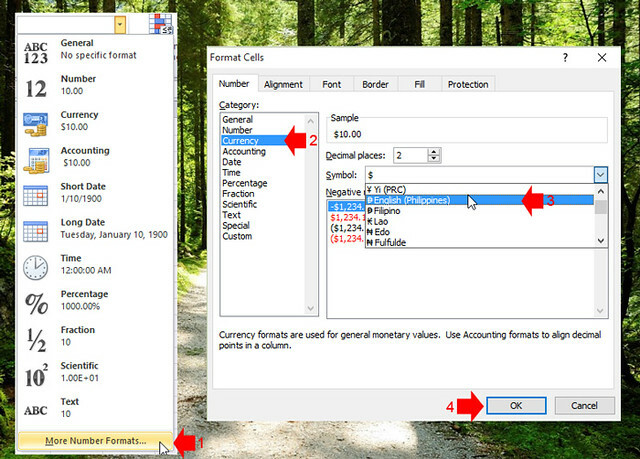 To customize the currency symbol, click “More Number Formats…” at the bottom of the dropdown, on the popup Format Cells Window, on the “Number” tab “Currency” category, select the Symbol that you want on the Symbol field, then click “OK” to apply. 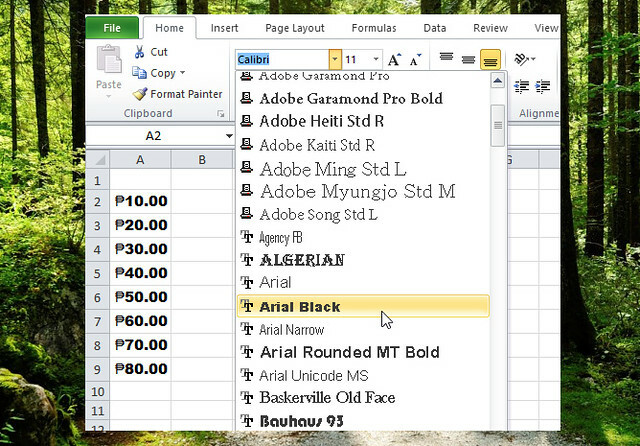 To change the Font Style of Cell entries, while the cell that you want to change is selected, In the Home Tab, Font group, select the font style that you want in the dropdown. See the screenshot.